Finally it is the Christmas season. 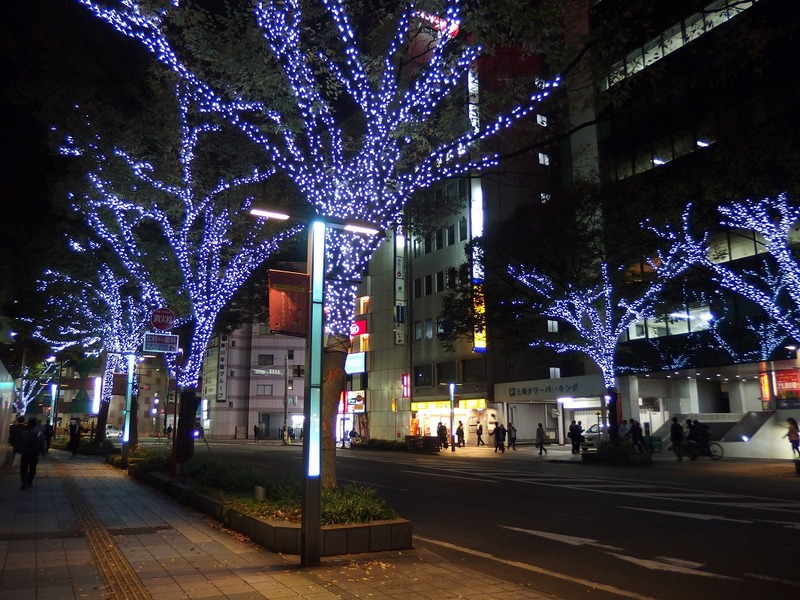 You can see the Christmas illuminations everywhere in Fukuoka where I live. 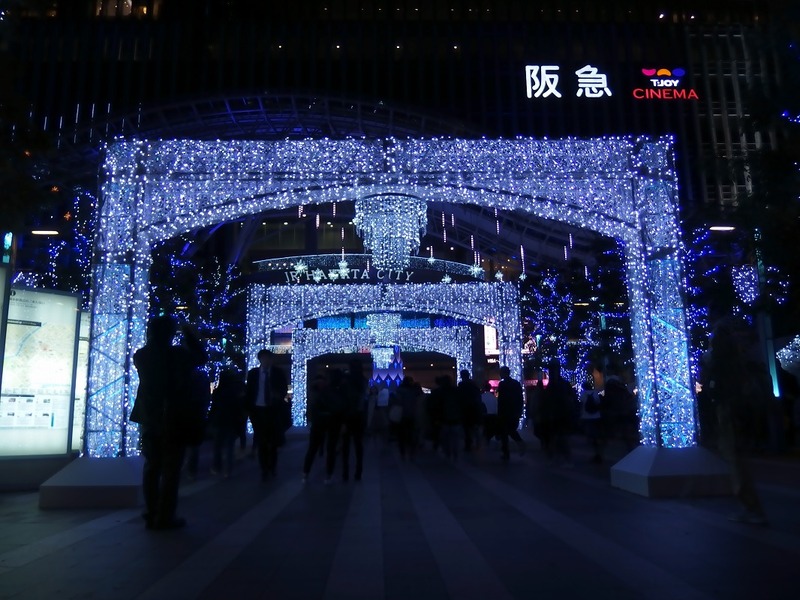 This time I visited Hakata station to see Christmas illumination. 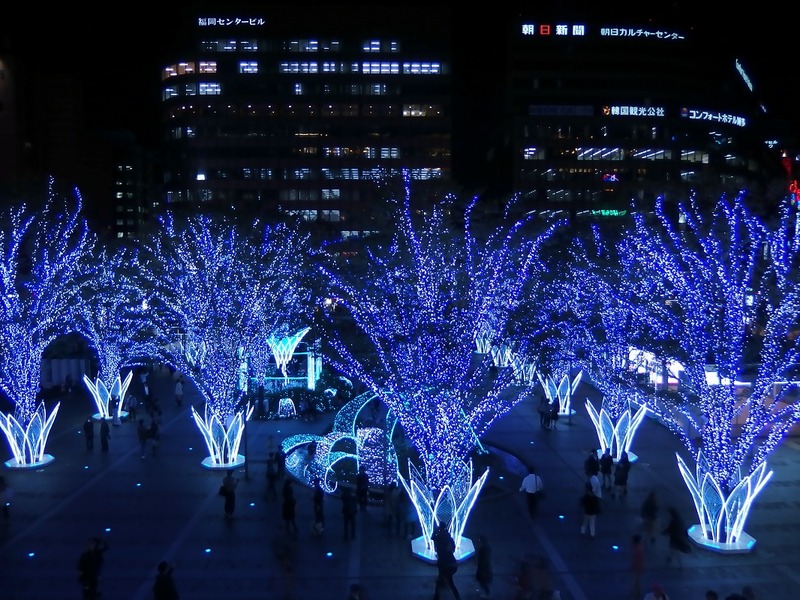 At Hakata station, the illumination is decorated every year and a lot of people visit here to enjoy the atmosphere of Christmas. About 700,000 balls of illuminations are decorated this year. 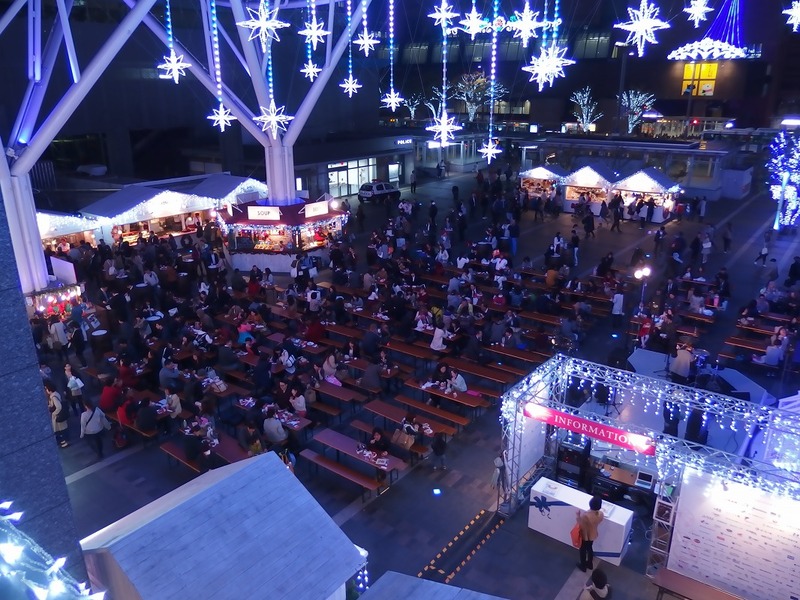 At the same time, Christmas market is being held at this Hakata station and Tenjin area (in front of Fukuoka city hall). The Christmas market originated in Germany, and currently it has been carried out in some places of Europe as well. It is also brought to Fukuoka. At the square in front of Hakata station, just like home of wooden huts in Germany are lined up. 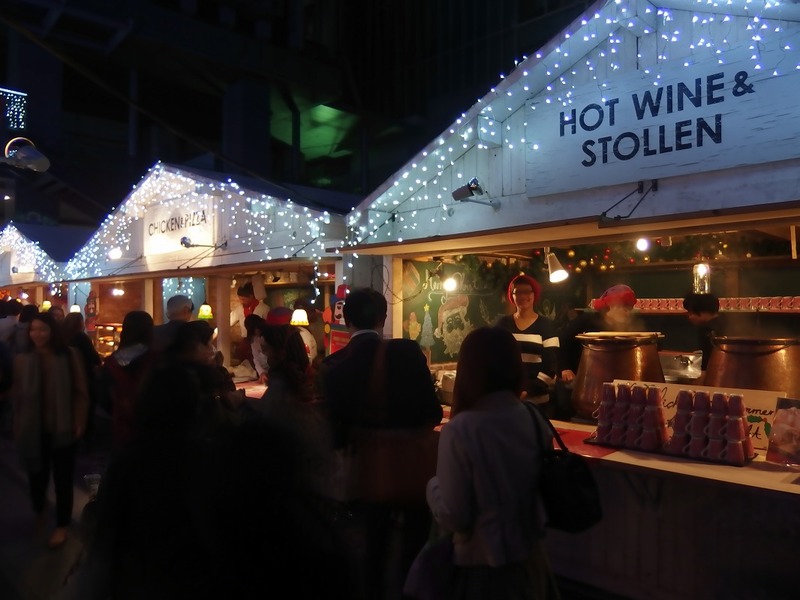 There are 22 shops lined up this year such as mulled wine, sausages, pizza and sweets, and also many Christmas goods are sold. So we can enjoy European tastes and color here during the Christmas season. In addition to the illumination and shops, music live shows are also held at both Hakata and Tenjin. 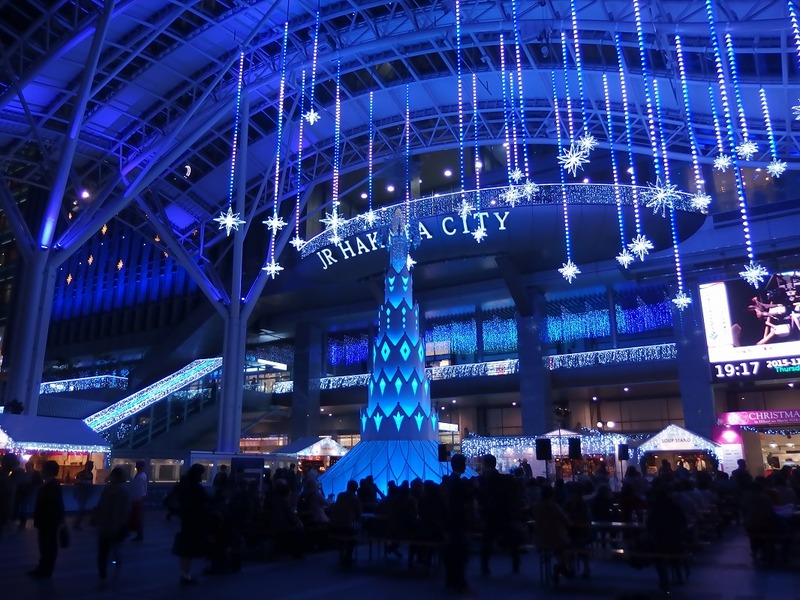 How about spend this Christmas at “The city of light ・ Hakata” ? You might feel what it is like the Christmas in Japan! 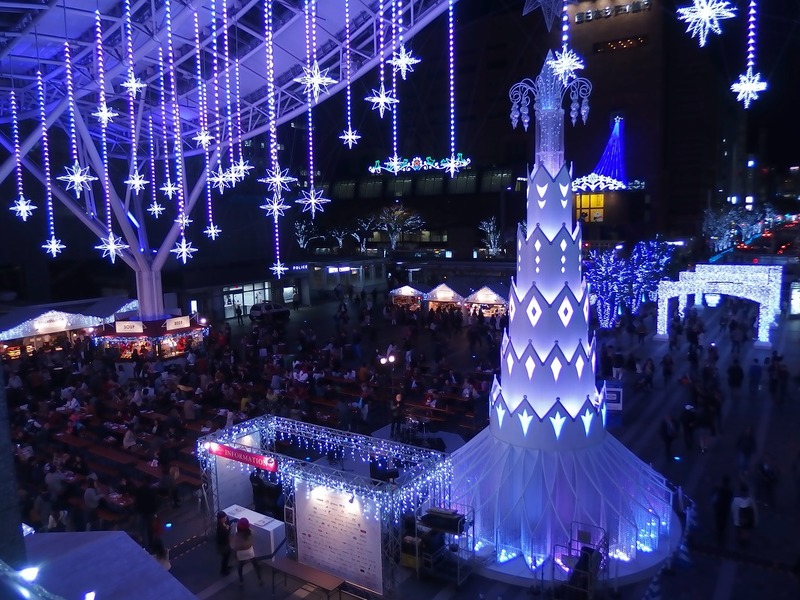 Event date & hours: Illumination (Hakata station): Nov,13,2015 to Jan,12,2016. 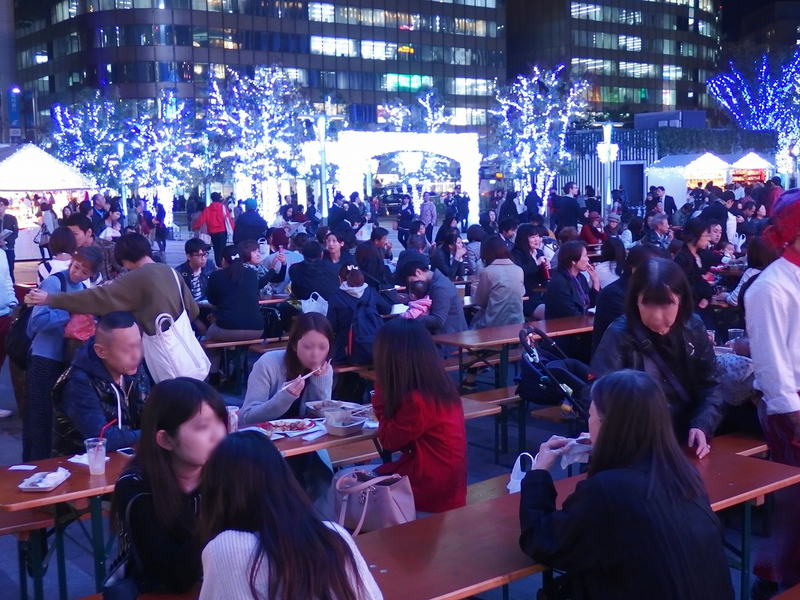 5:00 p.m. to 12:00 a.m.
Christmas market in Hakata: Nov,18 to Dec,25. 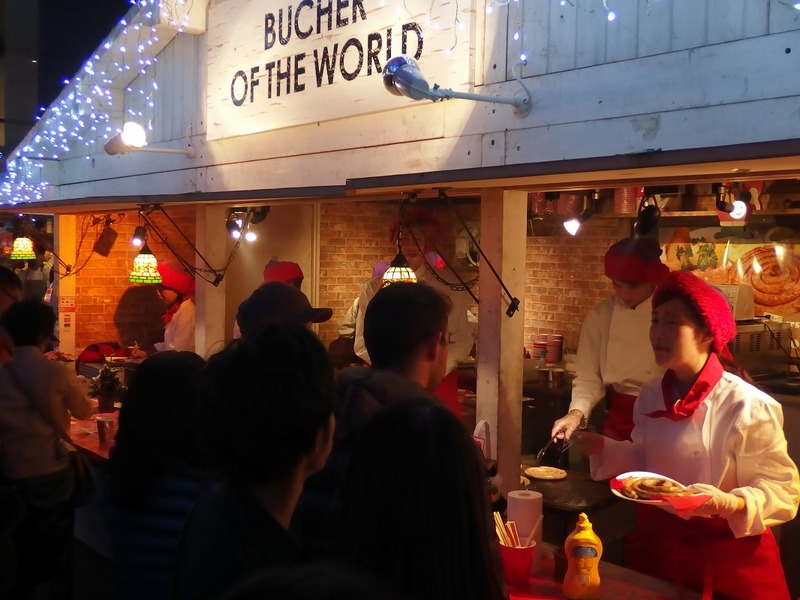 5:00 p.m.- 11:00 p.m. : 12:00 p.m – 11 p.m.
Christmas market in Tenjin: Dec,4 to Dec,25. 5:00 p.m.- 10:00 p.m. : 12:00 p.m – 10 p.m.
Access: To Fukuoka city hall: From Hakata station, use the subway airport line towards Chikuzen-Maebaru (筑前前原行), get off at Tenjin station (天神駅), then walk about 4 min 350 m to Fukuoka city hall. ← Over 700 hundred stalls gather! One of three major festivals in Hakata! Hakozakigu-Hojoya-Taisai (筥崎宮放生会大祭).